No lengthy pretentious preamble tonight. Y'all know what's up. All hands on deck. Do or die. Now or never. Insert cliche here. 1- Post whatever you feel like, I don't even care- but review the board rules and follow them. 2- Be excellent to each other. I want to apologize from the get go for any hysterical comments. Sid: Hey! What's all this sitting around stuff? Why are you all still sitting around here for? Engelland: What the hell are we supposed to do, ya moron? We're down 3-0. There's nothing to fight for anymore. Staal: Let it go. Series's over, man. Laviolette dropped the big one. Sid: What? Over? Did you say "over"? Nothing is over until we decide it is! Was it over when the Bruins took a 3-1 lead in '92? Hell no! Mario: Forget it, he's rolling. Sid: And it ain't over now. 'Cause when the goin' gets tough... the tough get goin'! Who's with me? Let's go! Malkin: Dead! Sid's right. Canadian... but absolutely right. We gotta beat these bastards. Now we could do it with conventional defense, but that could take hours of practice and would cost millions of dollars on better defensemen. No I think we have to go all out. I think that this situation absolutely requires a really passionate and desperate effort be done on somebody's part. Sid: We're just the guys to do it. Staal: (stands up) Yeah I agree, let's go beat them. 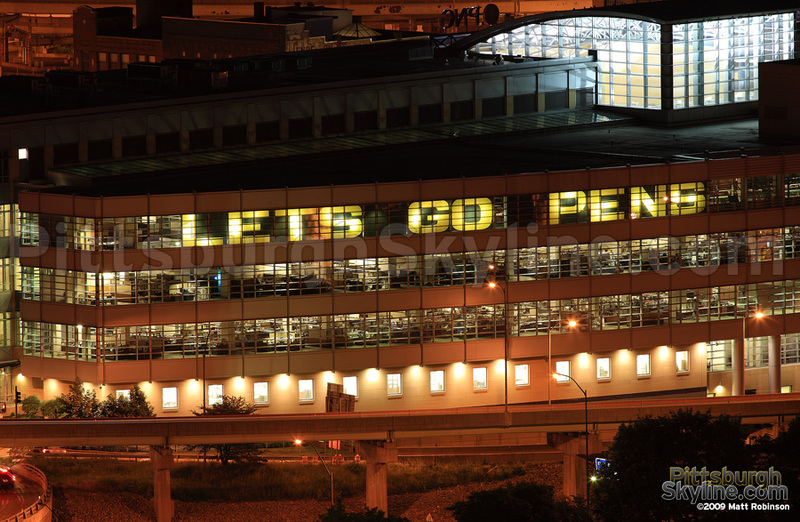 Pens players, please show us how ballsy you are. Pulling out my 2005 Sid rookie jersey tonight. It was the first gift my wife gave me when we were dating. Its literally been years since I wore and is going under glass to hang over my fireplace in my game room in a few days... It deserves one more go, and its getting the start tonight. Seems fitting... No 'C', no 'A', just the best **** hockey player that ever lived. I posted this earlier but I want to see Sid score early skip all the celebrating and go straight to the face off circle... Show everyone he is all business tonight. Wait, maybe I misunderstand. Are they showing the hits or video with Shanahan's ruling and explanation? Last edited by Gaucho on Wed Apr 18, 2012 6:06 pm, edited 1 time in total. All it takes is one. Get this game and then its back to the burgh. Feed off the home crowd and roll with the momentum. Take 2 games and get them worried and watch them fall apart as the pressure mounts. All it takes is this one tonight and this series could turn around. I really want a poster of this though. This isn't game 4, this is Game 7 Part 1. The team has to take this one shift at a time. Don't look ahead at what could happen and don't look back at what has happened. Focus on the present and winning the game at hand. Defense will tighten up. Goals will be scored. Flyers fans will cry. Don't give up, this isn't over. It's a race to 4, not a race to 3. This is just the first step to the greatest comeback in NHL history. Gotta believe in this team.